In 2012 by Department of Electronics and Information Technology (DEITY) along with Bureau of Indian Standards (BIS) has introduced Compulsory Registration Scheme. Initially, it covered 15 electronic and consumer products and added 15 new products in the year 2014. Under this scheme, it is mandatory for manufacturers to get their products registered before launching them in Indian market. There were 30 products listed for BIS Mandatory Certification and on 16th August 2017 Bureau of Indian Standards included 13 more products to the Mandatory List. 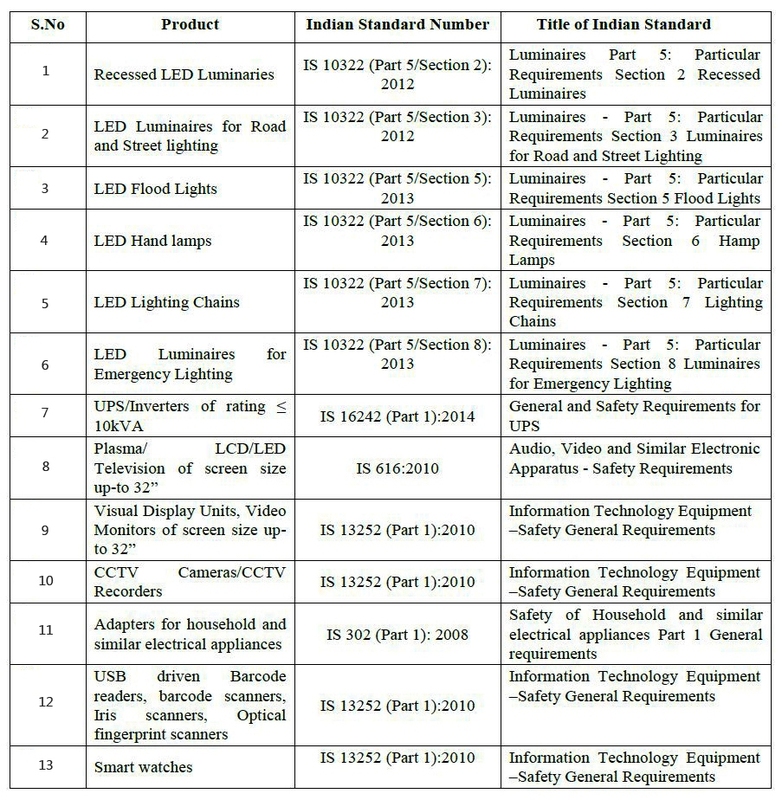 Any importer who is willing to sell his electronic product (which are listed below) can easily import in India without custom interference till 15th February 2018, afterwards it is compulsory for all the 43 products (under BIS Scheme) to be BIS Registered for Indian Market.